Copyright (c) 2013 - 2016, Sorkin Type Co (www.sorkintype.com) with Reserved Font Name ‘Atomic Age’. Atomic Age was inspired by 1950s era connected scripts seen on nameplates of American cars. Atomic Age looses the connection but keeps the spirit of these letters to make a highly legible somewhat mechanical looking font. 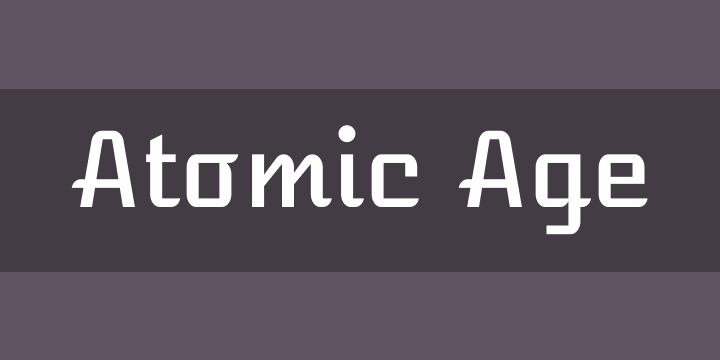 Atomic Age is usable from very small sizes all the way up to large display sizes.